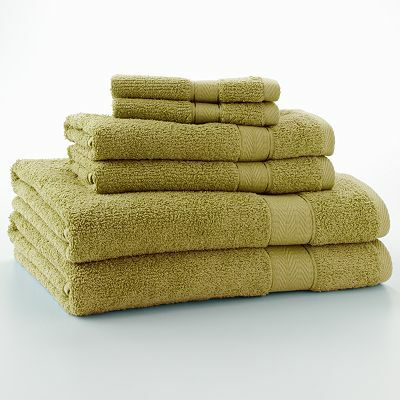 Including bath towels, hand towels and washcloths, this Textured 6-pc. Bath Towel Set meets all your needs. Textured weave creates air pockets for a fuller feel after each wash. Single-ply cotton construction offers lasting use. 6-piece set includes: 2 bath towels, 2 hand towels & 2 washcloths. $74.99. Buy here.